Do You Need a New Year's Eve Resolutions Reset? Are you on your way to making the most out of 2012? April is a perfect time to think about all those resolutions you made that may have been placed on the backburner. With the New Year’s Eve Resolution Reset Blog App (below) you can double check and make sure you are on the right path to making your resolutions come true! Use the app to take a quiz and find out if you are a "Resolution Renegade" and get personnel tips to help you achieve your goals and jump-start your resolutions for next year! You can also use the app to watch for the trailer for the movie "New Year's Eve". So whether you are on the right path to making your resolutions come true or need a little resolution reset, use the New Year’s Eve Resolution Reset Blog App to have some resolution fun. And watch for the movie New Year's Eve when it is released on DVD on Tuesday, May 1st. 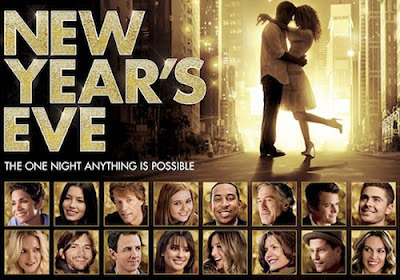 One FREEISMYLIFE reader will win a copy of the movie New Years Eve on DVD. This is an $18 value. HOLLA to the FREE!!! - The contest ends on Tuesday, May 8, 2012 at 11:59 am EST. - Prize will be fulfilled to winner by DBA Worldwide PR. USA ADDRESSES ONLY. NO P.O. BOXES. - You can get 1 extra giveaway entry for answering the New Year's Eve question at this link. - You can get 1 extra giveaway entry for tweeting the following message on Twitter "I entered the @freeismylife giveaway to win the movie New Year's Eve on DVD http://bit.ly/ItgFGN #ResolutionReset "
Random.org has spoken!!!! Out of 141 entries, Random.org has picked #128. Congratulations to the winner of the New Year's Eve Movie DVD - Lily K of Las Vegas, NV !! !